Anyone who has received an education abroad and intends to continue their career or education in Russia sooner or later runs into the issue of having to confirm the education they have received. This applies, by the way, to any foreign education received, whether its a university degree, a professional degree, or simply a high school diploma. This procedure is known as nostrification. Nostrification is the procedure of recognizing education or qualifications received beyond the borders of the Russian Federation against the Russian education standards. 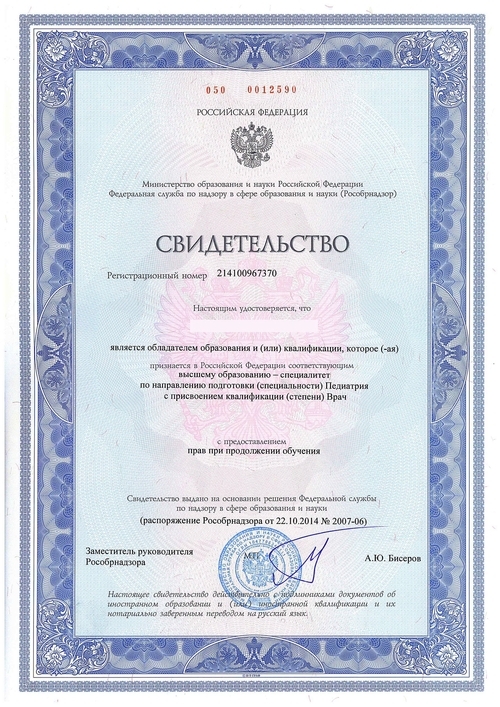 Based on the results after the procedure’s completion, the owner of this document will be presented a certificate permitting him or her to initiate employment or education in Russia. Recently, for understandable reasons, the people that have most often consulted us for this service are residents of the Crimea, since all specialists with education documents issued on the territory of Ukraine must be confirmed in the Federal Education and Science Supervision Agency. However, it is worth keeping one important nuance in mind: documents issued before May 15, 1992 on the territory of the USSR are not subject to nostrification and are recognized as valid in the Russian Federation. 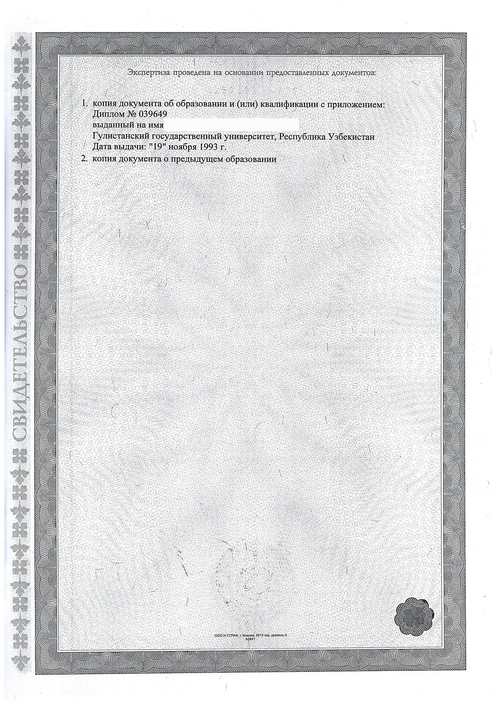 All you have to do is is provide a notarized translation into Russian if necessary (in the case that there are any labels, stamps, or markings on your education document in a foreign language that aren’t duplicated in Russian). It must also be noted that the nostrification procedure of medical education documents has its own specific requirements. 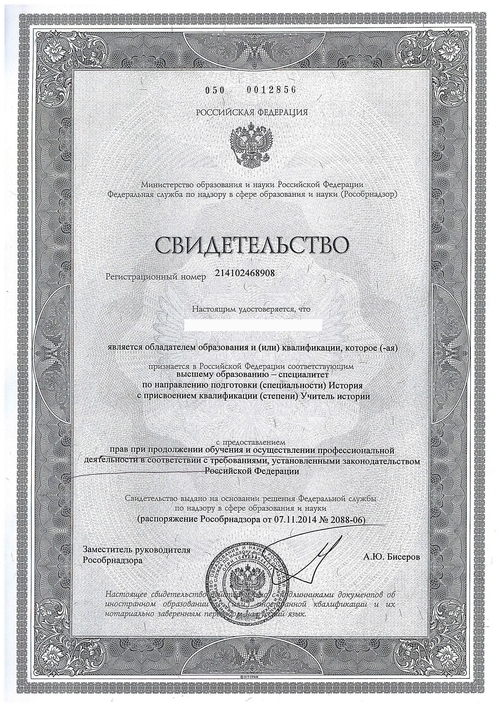 After this kind of specialist has received his or her certificates, he or she will need to consult the Ministry of Healthcare of the Russian Federation (its official site is rosminzdrav.ru) to receive an additional certificate – a permit for them to work in the field. 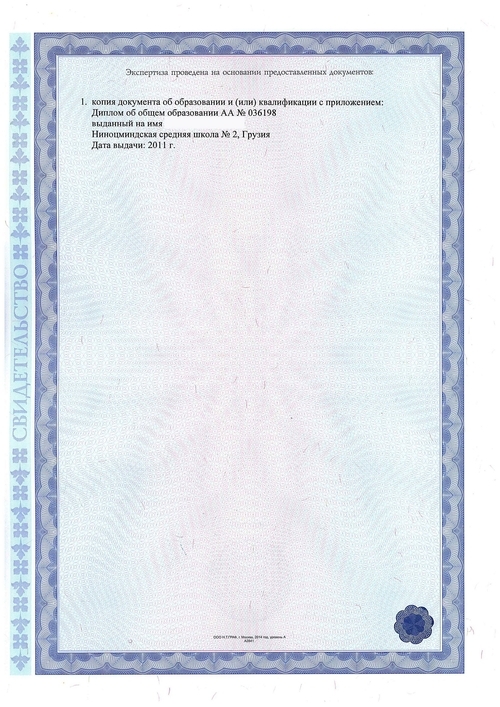 *if the documents are duplicated in Russian, then you will only have to have the stamp translated and notarized (as a rule, it is in the language of the government issuing the document). 6) a document confirming the past workload of the individual in the field indicated in the diploma (a xeroxed copy of the employment record book along with a translation). 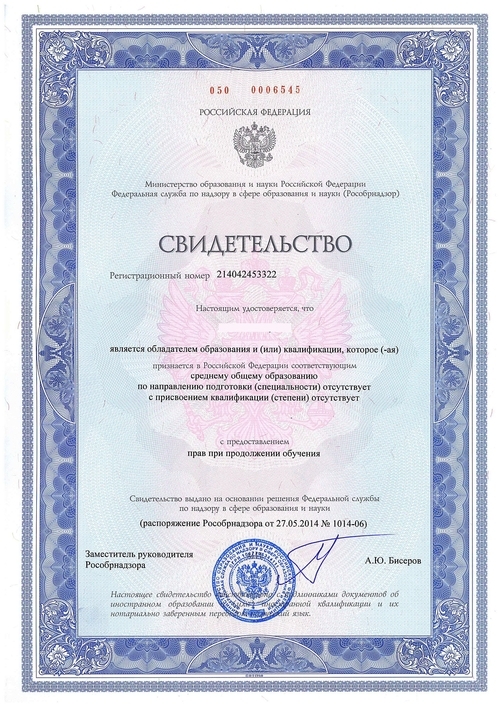 In the case that the employment took place on the territory of the Russian Federation, the employment record book must be certified by the employer. As a rule, the nostrification process takes about 2-4 months. The cost of the procedure is 13,000 RUR (including a government fee in the amount of 6,500 roubles). 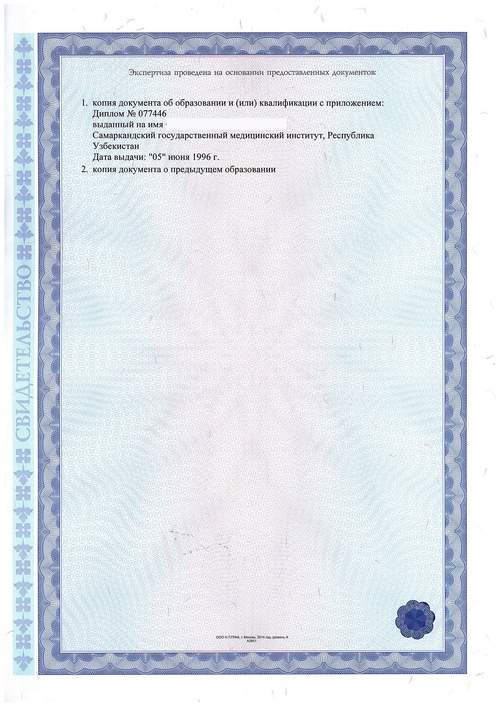 Nostrification of an Uzbek certificate.